fraternal service organization. Founded by Father Michael J. McGivney in New Haven, Connecticut, in 1882, it was named in honor of the mariner Christopher Columbus. The Order is still true to its founding principles of charity, unity and fraternity. 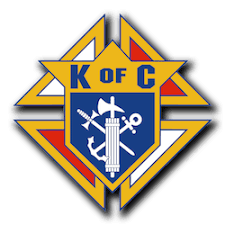 The Knights was formed to render financial aid to members and their families. Mutual aid and assistance are offered to the sick, disabled and needy members and their families. Social and intellectual fellowship is promoted among members and their families through educational, charitable, religious, social welfare, war relief and public relief works. To get involved in our local council, please contact Mike at 269-804-9661.